Ever wonder what inspires Jonathan Adler to create his beautiful, colorful and whimsical designs? Adler tells us himself. 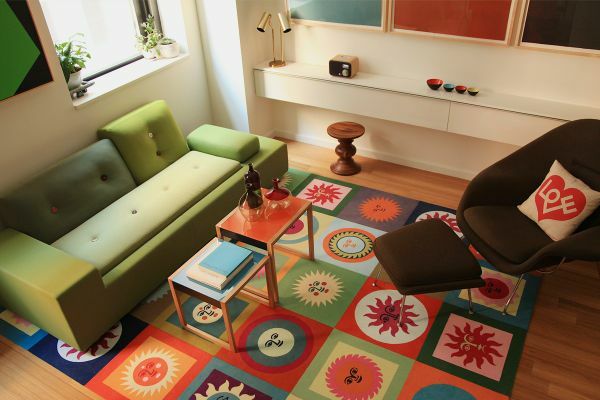 He identifies the work of mid century designer Alexander Girard as one of his top three inspirations. Adler says, “Girard was so prolific, so talented and his work was all about the joy of creativity. ” With props like that, Alexander Girard is surely a designer to know. A review of the work of Alexander Girard, nicknamed Sandro, shows that “happy decorating” has been around for quite a few years. So settle in for a bright, colorful and cheerful post. Those suffering from the polar vortex and extensive snow should feel all warmed up by the time we are finished. 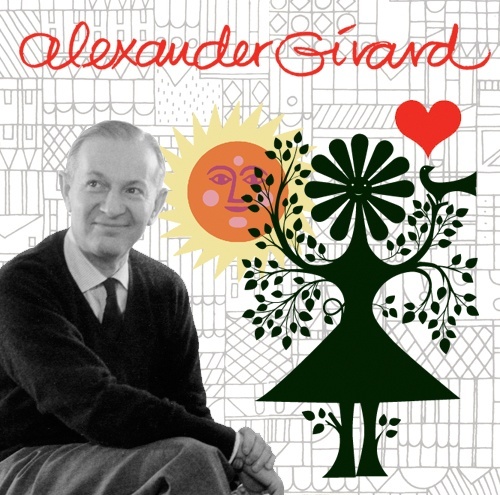 If you know the name Alexander Girard at all, you may think of him as a textile designer. Indeed, some have called him the greatest colorist and textile designer in modern time. But Girard was much more than that. He also was an architect, interior designer and furniture designer. His work was so bountiful, that Jonathan Adler added that Girard makes him feel like “a total slacker” ! Here are just some of Alexander Girard’s most famous projects. 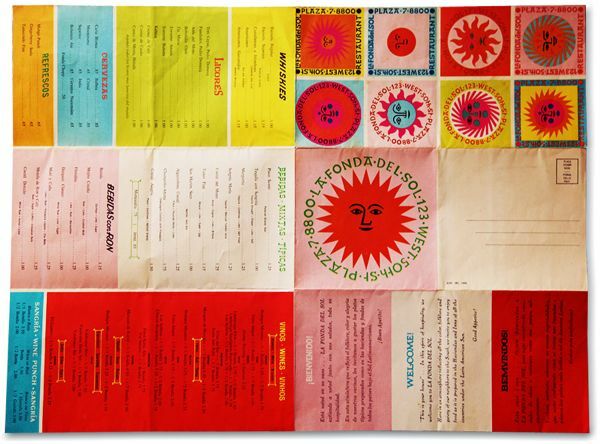 Who can’t but help love all of the sunshine-y goodness of the Girard designed restaurant La Fonda del Sol,created in 1960 and located in the Time-Life Building in Manhattan. 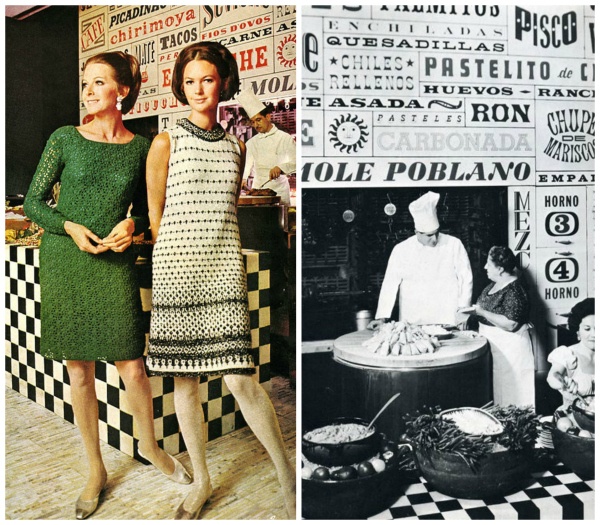 Alexander Girard designed most everything, giving it all a Latin American theme, from the menus, matchbooks to the ceramic tiles on the floor and walls. He created over 80 different sun motifs for the restaurant. Charles and Ray Eames were brought in to do the chairs. For a brief while, the carpet tile company Flor offered a collection inspired by Girard’s sun motifs. Pity its been discontinued. Looked great don’t you think? Flor, are you listening? I vote for a revival. 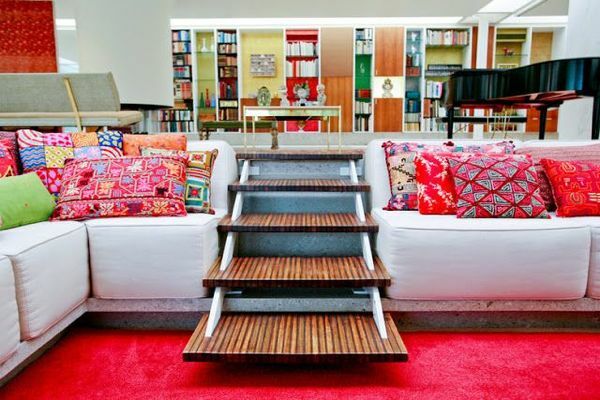 Get your groove on by taking a gander Girard’s interior design for Eric Saarinen’s Miller House. After all what could be more groovy than a conversation pit? As for those Girard pillows, come to momma! You also get a glimpse of the colorful and ingenious storage system on the far wall that Girard designed for Mrs. Miller, mother to five. When I began my blog, I did an entire post on the Miller House–the house is now a museum. If you don’t mind “amateur hour”–the post is a bit rough around the edges– click over. Another extraordinarily hip project by Alexander Girard is his work for Braniff Airlines in 1965. With this project he was able to super scale his design concepts–even getting to choose the colors for the outside of the planes. In true Girard fashion, he picked hues like lime, turquoise and lemon yellow among others. I would love to see that on the runway today! Like his work for La Fonda del Sol, Girard took a soup to nuts approach with the Braniff Airline project. Known as “The End of the Plain Plane”, he designed the interior cabins, ticket counters, lounges, matchboxes and sugar packets. 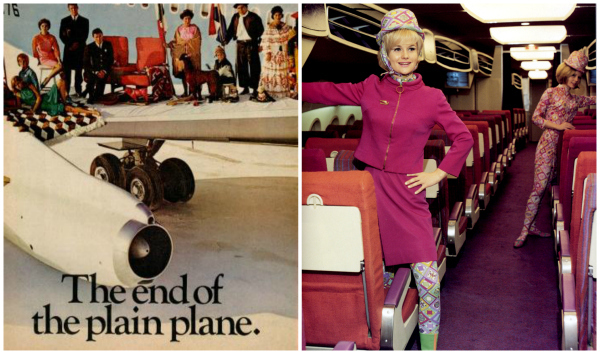 Emilio Pucci designed the stewardesses’ uniform. If only flying could return to such glamour!! No post on Girard wold be complete without mentioning his textiles, many developed while he was at Herman Miller. He began working there in 1952 and continued into the 70’s. Some of his more popular designs are still available at Maharam. If Alexander Girard inspired Jonathan Adler, what spurred Alexander Girard’s expansive body of work? These charming dolls designed by Girard and available at Design Within Reach provide a clue. Credits: Adler quotes here and here. La Fonda del Sol images: menu black and white photos plates, waiters, carts suns woman and matchboxes flor rug Reminder of pictures here, where sources are noted.